The heat vapour is clearly visible, rising off the black tarmac and dissipating into the air on the desolate Southern California mountain road. It is typically cool in this part of the Temecula Valley, 45 minutes north-east of San Diego, but the day is an abnormally scorching affair, with temperatures hitting 96 degrees Fahrenheit. Among the sintering heat, two of Porsche’s finest 911s ever to grace the planet are on a mission and engaged in a duel: like the legendary gunslingers of the old west, Billy the Kid and Jesse James, these modern-day legends are going head to head to see which generation of the 997 GT3 RS is the most electrifying to drive. Aided by exceptional aerodynamics, both cars have speed and power delivery in abundance, with their stripped-back and cut-throat nature making for one of the purest forms of road-legal driving, such is the moniker of a 911 RS. Where lesser models would find such an environment exhausting, here corners are attacked with aplomb. 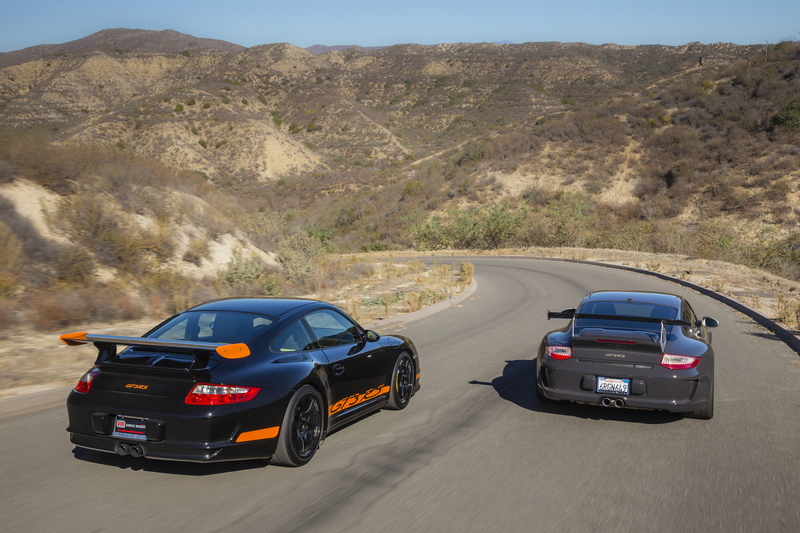 These two differing 997-generation GT3 RSs are as at home on these mountainous roads as they would be on a race track – which, of course, they were essentially designed for. Both Rennsports jockey for position and exchange leads from the front several times as the howling of the high-revving ‘Metzger sixes’ resonates. If ever there was an example of heavenly driving, this was it. 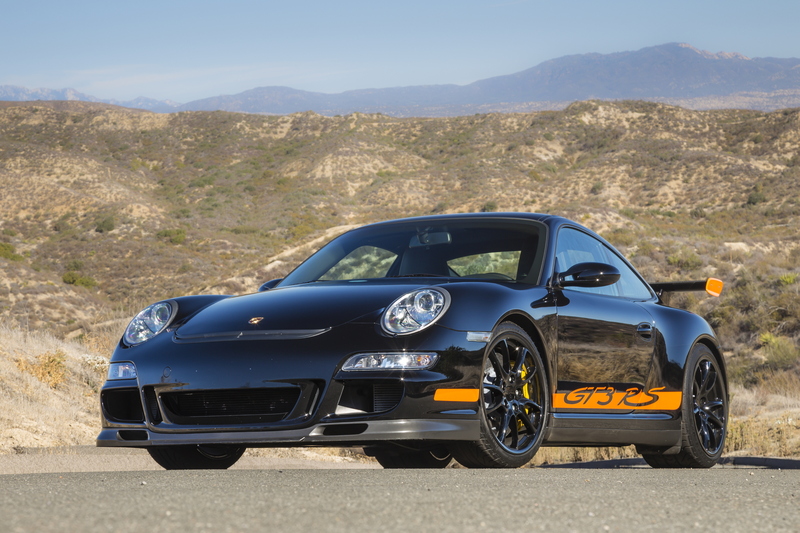 The mere mention of ‘GT3 RS’ ensures ‘pinnacle of the 911’ is on the cusp of most driving enthusiasts’ lips. It doesn’t get any better – it’s a purist car by every definition. By driving or owning one you are experiencing a piece of road-going Porsche racing heritage that is arguably not found with any other manufacturer. The GT3 RS models are exclusive machines, inspiring and leaving you in awe. They are breathtakingly beautiful and staggeringly functional in every sense of the word. Unlike other 911s, these two naturally aspirated Rennsports are built by the Porsche Motorsport division, the same group that for many years manufactured 911 Cup cars, the RSRs, and even the RS Spyder. Racing is in their DNA. After you’ve found out what else is in Total 911 issue 110, to read more of this spectacular showdown, you’ll have to pick up your copy now, either in store or online at the Imagine Shop. Alternatively, download to your digital device from Great Digital Mags. Total911 is part of Future plc, an international media group and leading digital publisher. Visit our corporate site.